They’re what the PADI Advanced Open Water Course is all about. The Advanced Open Water Diver course helps you increase your confidence and build your scuba skills so you can become more comfortable in the water. This is a great way to get more dives under your belt while continuing to learn under the supervision of your Big Squid instructor. Take your whole course on Nitrox for an extra £125.00 you will gain a PADI Enriched Air diver rating and combine this with your Advanced training. Take your whole course in a Dry suit For an extra £145.00, you will gain a PADI Dry Suit Specialty rating. Price excludes refundable DVD deposits – £20.00 per course and site entry fees to open water locations. 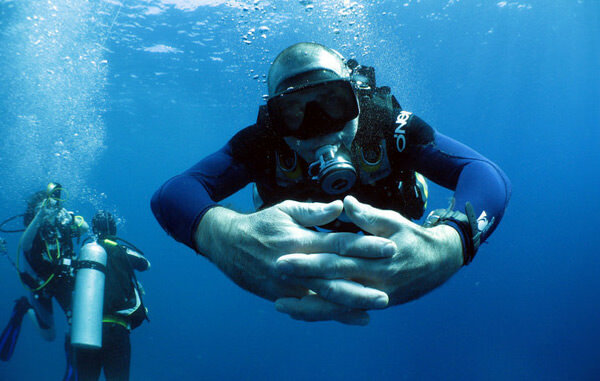 The PADI Advanced Open Water online course materials, all equipment. It does not include dive site entry fees . You should be a PADI Open Water Diver or of an equivalent rating.